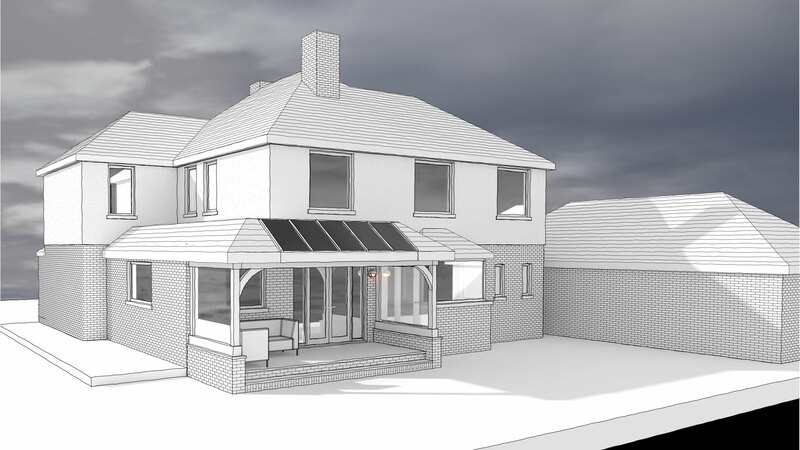 SurveyCloud are busy sketching up proposals for a single storey infill extension and rear verandah. The building has been modelled in 3D and various design options explored. Call our design team today to discuss your project and receive more information on our survey and design services.